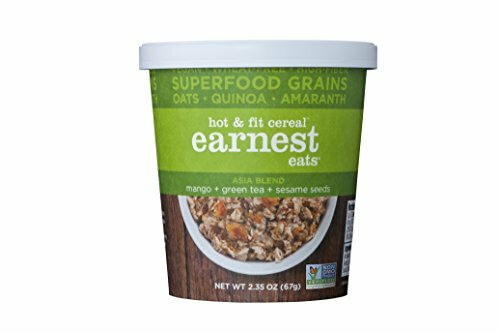 Earnest Eats Vegan & Wheat-Free Hot Cereal with Superfood Grains, Quinoa, Oats and Amaranth - Asia Blend - Single Serve Cups (Pack of 12) | SleepyChef.com | everything breakfast! 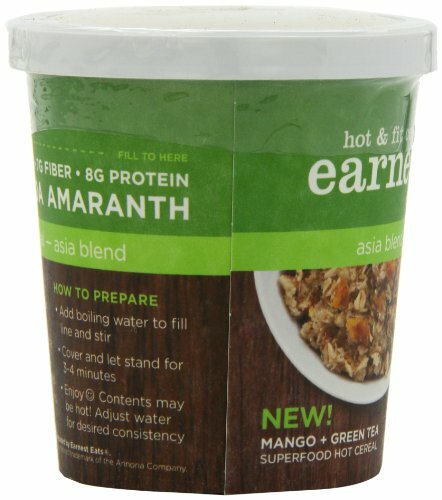 INSTANT BREAKFAST: Our Hot & Fit Cereal Cups are great for on-the-go use and already sweetened for you to enjoy. All you need to do is add hot water to start your day with a delicious breakfast to feed your taste buds, body and spirit. 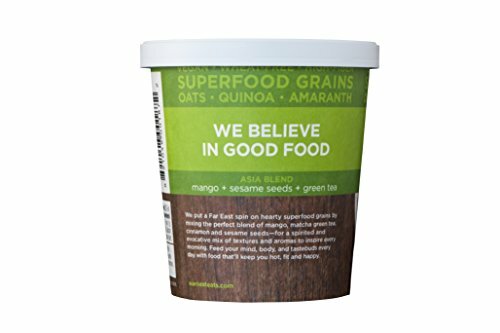 DELICIOUS HOT CEREAL: Our Hot and Fit cereal has super food grains plus fruits, nuts, and seeds for a powerhouse of nutrition, energy and flavor to power your day. 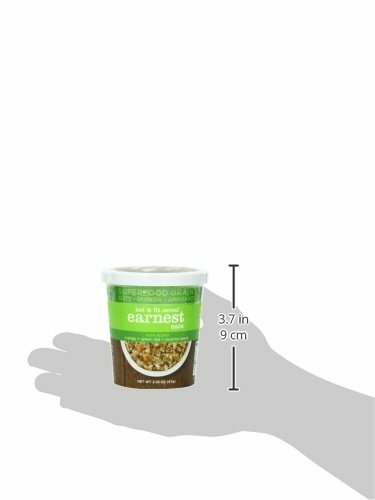 ALL NATURAL SUPERFOOD: Earnest Eats is about believing in nutrition density vs. calorie density. 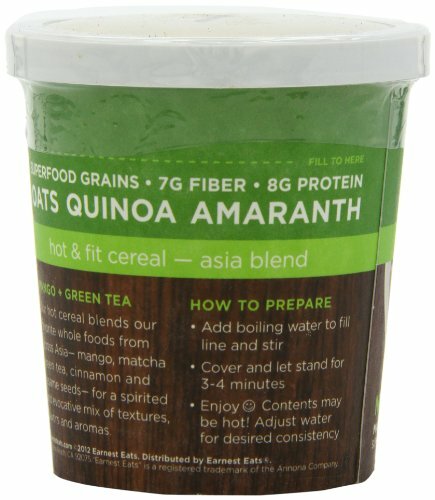 Our hot cereal is high in fiber with superfoods: Quinoa, Oats and Amaranth. 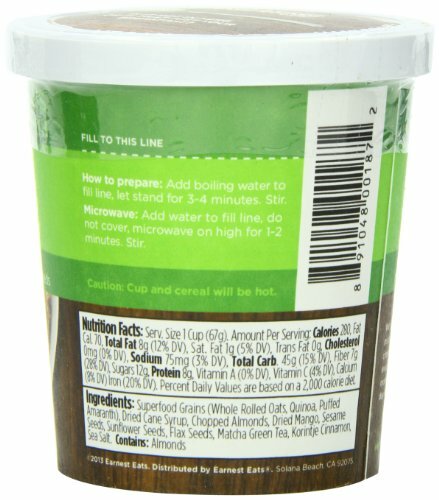 Our non-GMO verified breakfast is packed with 8g of protein & 7g of fiber. 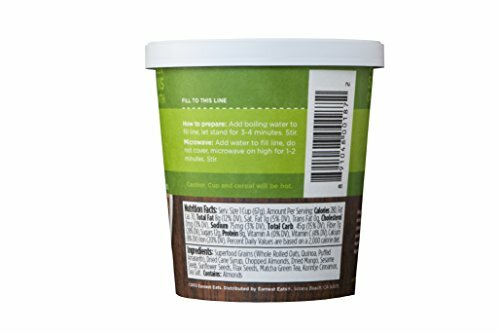 ASIA BLEND: This flavor blends whole foods from across Asia like mango, matcha green tea, cinnamon and sesame seeds for a spirited and evocative mix of textures, flavors and aromas.